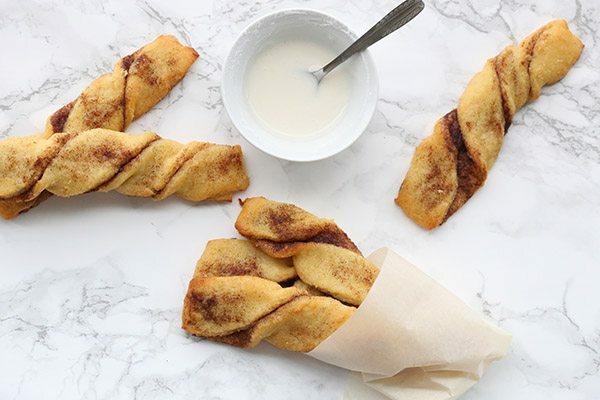 Low carb cinnamon twists are sweet little keto cinnamon pastries with a secret ingredient (and no, it’s not pork rinds!) And yes, they are still sugar free and grain-free. Happy breakfast! Oh, oh, this magic mozzarella dough. 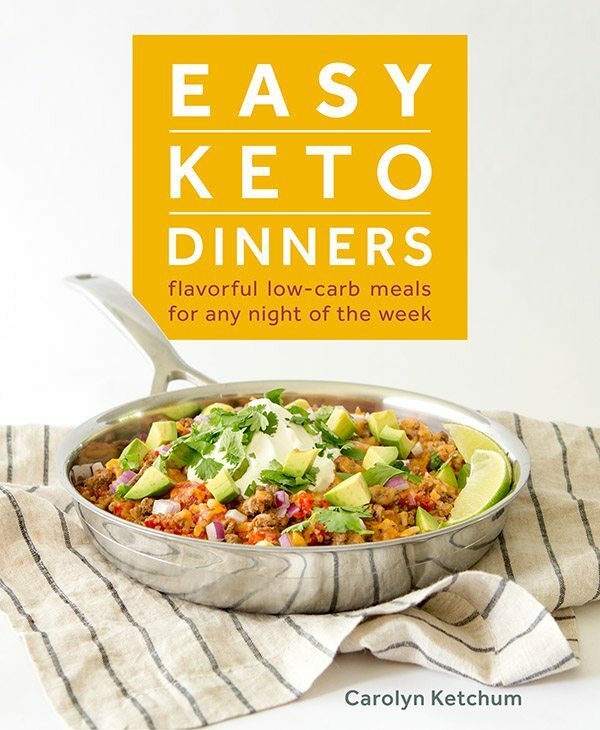 Honestly, this stuff is a total low carb game changer for me and I am having way too much fun messing around with it to create new keto recipes. It’s not perfect for everything but it sure works like a charm for any kind of pastry or pizza dough. Fathead cheese danish or low carb stromboli, anyone? And it still just startles me that it’s made with mozzarella cheese. Like, seriously. Who sat down one day and said to themselves “I am going to make low carb dough out of cheese and see if it works”? Because while I am incredibly creative and innovative with my recipes, I am also quite certain I never would have thought of this. But that’s the nice part about the low carb recipe creation world. We can all learn from each other and build on each other’s work. This dough isn’t exactly tricky to make, but there are some tricks to getting it right. And so, at the request of several readers, I have created a video that walks you through the steps. This is for a sweet version of the dough, but the same tips apply to the savoury version too, you simply leave out the sweetener. Now that I’ve made several recipes with it, I have learned a few things. First of all, don’t roll your dough out on parchment paper. It’s much too springy and it pulls and wrinkles the paper so that you end up with creases in your dough. Turn it out onto a silicone mat or even right onto the counter, if you need to. Then you can top it with parchment and roll it out that way. Also, if your dough is a little too sticky to work with, dust it with almond flour and knead that in a bit until it firms up. And one reader gave me another little trick that saves one step and one bowl, and that is to melt your butter right in with your mozzarella. Less mess and less to clean up afterward! 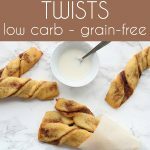 That worked beautifully for me in these low carb cinnamon twists. These little pastries make a wonderful breakfast treat. 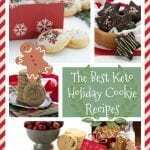 I’ve made them several times and my kids keep asking me to make them again. So if you’ve been itching to try the low carb mozzarella dough, just dive right in. I hope you find my video and all of my tips helpful. Enjoy! Sweet little cinnamon pastries with a secret ingredient. And yes, they are still low carb and grain-free. Happy breakfast! Cover with parchment paper and roll out to a 10x10 inch square. Brush with half of the melted butter. In a small bowl, whisk together the sweetener and cinnamon. Sprinkle about 2/3 of this mixture over the rolled out dough. Fold dough in half and cut into 10 strips with a sharp knife or a pizza cutter. Hold both ends of one strip and twist gently in opposite directions two or three times. Lay twists on prepared baking sheet and brush with remaining melted butter. Sprinkle with remaining cinnamon "sugar". Bake about 15 minutes, until golden brown and just firm to the touch. Remove and let cool. In a small bowl combine powdered sweetener, vanilla extract and just enough water to achieve a drizzling consistency. Drizzle over cooled twists. What kind of mozzarella are you using? That’s usually the issue with this dough…people try to use “healthier” full fat mozzarella or fresh mozzarella and it really needs to be the pre-grated store-bought kind. The dough does remain a bit stringy as you are kneading it and the butter and cheese don’t perfectly meld until you add the dry ingredients. I completely agree, all cheese is not created equal. I have found the shredded Mozzarella from Trader Joes works perfectly every time. Isn’t preshredded cheese coated with cornstarch so it stayes appart. Yes, and that’s why it works well in this. Don’t worry, the starch is not enough to add any appreciable carbs. Mine came out flat as pancakes. Not sure what I did wrong. I have found that the key to the dough is making sure you use PART SKIM mozzarella. Yes, that’s why the recipe specifies part skim. 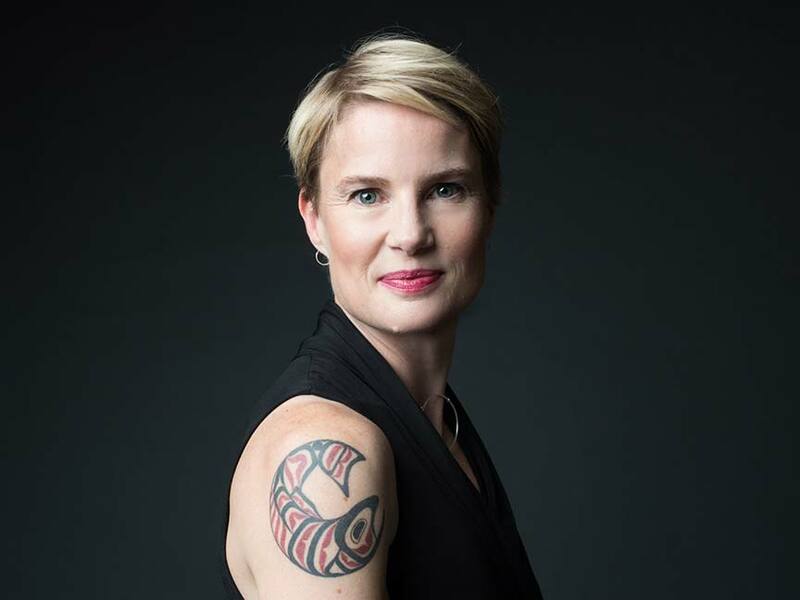 CAROLYN, you are my hero! I love your recipes. My dilemma at this point is that my daughter is thriving on Paleo and cannot tolerate dairy, grains or legumes. I am racking my brain trying to find substitutes for mozzarella, yogurt, sour cream, and soy. Substituting coconut oil for butter has been easy. Thank you for your dairy free recipes. Thank goodness, she can tolerate tree nuts. This type of dough is so good that when I made pizza for myself the other night (after having picked up a commercially made pizza for the family), my husband asked if he could have some of MINE!! And he’s a HUGE pizza snob! Slowly but surely, I’m bringing my family around to this way of eating! Love the video addition to all of your fabulous recipes! I did this EXACT same thing three days ago, only I rolled the dough after dusting with cinnamon and “sugar” and butter and cut it into cinnamon roll-shaped pieces and put them in a baking dish to bake. After it was baked, I drizzled the cinnamon rolls with a glaze of cream, Swerve, cream cheese & vanilla. I did not like the texture or the cooling effect of them when they first were made. When I made the cream cheese Danish with this dough a few weeks back, I had the same reaction and almost threw them away. But they were really good the next day. So I saved these cinnamon rolls and we had them the next two days and they were so much better! I’m going to try your “twist” method–I bet they will cook more evenly than my rolls did, all crowded in the same pan. Interesting… do you think the cooling effect diminishes over time? I just pulled these out of the oven! I added 1 oz of softened cream cheese and a little lemon juice to the glaze, otherwise the recipe was pretty great! Very tasty and the perfect little treat! I have to “pat them out” like cookies (much more like cookies than biscuits) and keep my fingers wet so they don’t stick. I was lazy and did it differently. I did NOT melt the cheese but did the butter. I mixed it all up in the mixer to a cookie dough consistancy and patted it out. I also used almond meal (coarser type than the flour) from ground almonds (with the skins). My oven runs a touch hot. 15 min was crispy and 10 more bread like. My question…how different is it when you do melt the cheese and roll it out? Thoughts? Melting the cheese makes your dough a “true dough” with a springy consistency similar to gluten dough. I’d highly recommend it but use a finer almond flour. Thank you! I see what you mean the way I was doing it (unmelted, coarser almond meal vs flour) was more cookie or biscuit. I’ll still love that. But a true dough would be lovely! Will try it that way next time! Yup, that would make a big difference. It is much drier than almond flour and coconut flour. I bought some more to play with so I will experiment with this dough and THM baking blend and get back to you. I would like to know the results too! I like that the blend contains more fiber-makes me feel like I can make them more often! Thanks so much for all your hard work! 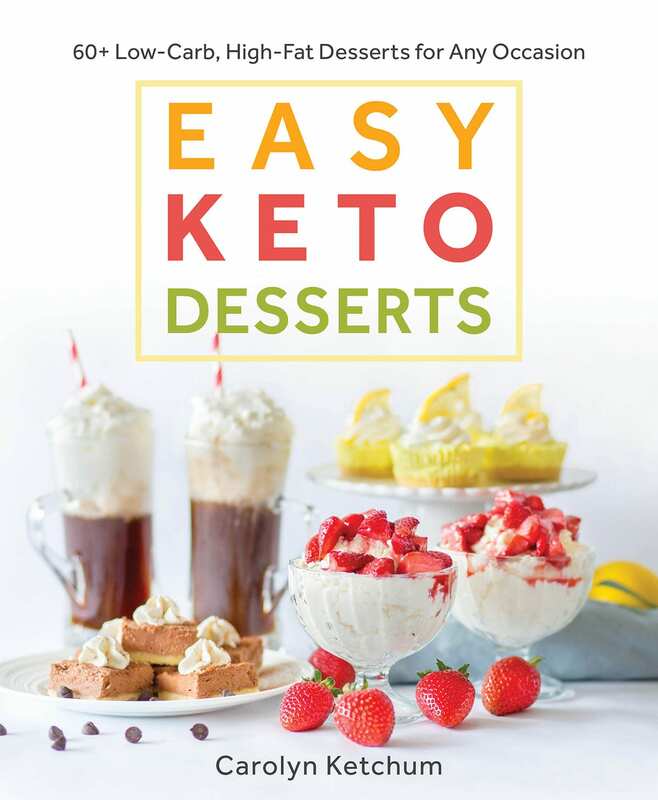 Keto baking is not for sissy’s! Man, do I ever want these. The end. I would give anything for these right now! Love the video. Oh my goodness, are you serious? I read mozzarella dough and had to do a double take. How did I not know this existed? 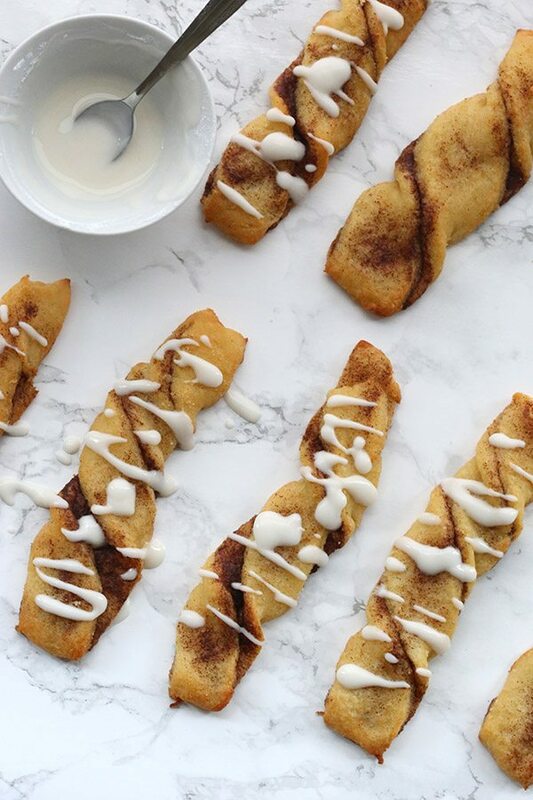 I’m so interested to try it out because these cinnamon twists look to.die.for! Love the video! Cinnamon twists with cheese…what could be better! I have fresh (packed in water) mozzarella in my fridge…would that work? Thanks! I don’t think so, it won’t have the stringy quality of the cooked mozzarella. Yup, I don’t think it’s a good idea! Mozzarella dough? Seriously, you are amazing! I wish i could say that I invented it, but I did not. Still, I am having fun created recipes around it! And what can I use instead of coconut flour? You could try more almond flour but I am not sure if it will be absorbent enough for this recipe. I had a recipe that used coconut flour and I was out so I used oat fiber. It’s very low carb because it’s the fiber from the oats. I used an equal measure of it. I couldn’t tell a difference in the recipe at all! I do feel obligated to say that it was only a tablespoon so there might be some differences in this recipe since it calls for a larger amount. But you could experiment with it and see what you think! Made a savory version of these last night to go with I Breathe I’m Hungry’s Chicken Nugget Meatballs. Made the dough without sweetener and threw in herbed garlic butter, cheddar, and fresh parmesan cheese, and then cut, twisted, and baked accordingly. Amaze-balls. Thank you!!! OMG, perfect timing! I have been craving something cinnamon-y and was going to make your cinnamon buns this weekend, but I think I’m going to give these a try instead! They look amazing! 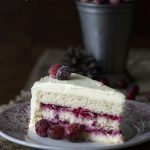 Carolyn-I just love your blog and I wanted to THANK you for your recipes and all your work in finding ways for us (diabetics) to still stay healthy and eat all the yummy treats!! I have a question about he mozzarella here. I have the mozzarella cheese from Costco that comes in 2 rolls. Can I just melt that instead of shredding it and melt it? I usually buy the already shredded ones but recently heard that they add flour to them which adds extra carbs so opted to buy the whole ones. Thanks so much—I will definitely try this one. If by rolls, you mean fresh mozzarella, then no, I don’t think you can. And the shredded mozz contains cornstarch but it’s so little as to not really add many carbs to this recipe. Probably 1 or 2 carbs for the entire recipe. These look so delicious! I think I may try to make them egg free! Thank you!! Since this dough can be formed and kneaded, do you think it would work for soft pretzels (unsweetened)? It would need to be able to stand up to a bath or dunk of baking soda solution before baking. I would try but my oven is broken. Thanks. I just now discovered this recipe and am thinking of all the ways I can use this dough…my fiancé loves soft pretzels so I wanted to check in and ask if you’ve made them yet, and if so what tips you may have? Thank you! I made these this morning and they taste great. Mine spread a bit so should I make the dough a little stiffer? I sifted the coconut flour first then measured. You have the BEST recipes! Yes sounds like you need a little more flour of some sort. Differences in brand can cause this, I think. These are so good! Mine didn’t stay quite as nice as yours. They spread out way too much. Any ideas?? Thanks! More flour needed (almond flour). Yes, I would be interested in why the difference in the amount of baking powder as well. You are such a genius!! These look amazing! Thank you! Great video too! Carolyn, I just made these – my first venture into mozzarella dough — and they are incredible! I also made quesito filling in a separate container (vanilla-flavored sweetened cream cheese), and we’re having these for breakfast spread with that! I’m truly stunned by the consistency of the pastry. Wow! Just made these. Oh my gawd! They’re fabulous! And Easy!! Thank you. This dough tastes just like a pastry dough. Yum! I just made these and I had problems with kneading as it really stuck to my fingers a lot. I did it exactly to recipe unless I measured something wrong but it was very sticky and I could not pull off the silicone mat and twist as it was falling apart and really sticking to the mat. What did I do WRONG? even though they don’t look as good as yours they do taste good and none will go to waste. Thanks for all your hard work on recipes really appreciate! Two questions: what kind of mozzarella and what kind of almond flour? I used low moisture part-skim mozzarella and Bob’s Red Mill Almond Flour. Then it was your almond flour. I love Bob’s but that’s too coarse and doesn’t come together as well as Honeyville. Carolyn, would putting the Bob’s Almond Meal through a grinder work if one wanted to make these right away and too impatient for an order from Honeyville? It’s hard to know if you can get it fine enough. I can’t make any promises here BUT…apparently Bob’s is changing their grind to be more fine. I can’t wait!!! I just love all your recipes. I made this for the first time tonight. I used regular store bought part skim mozzarella but it was a block not pre grated. Doesn’t he preheated usually have cornstarch on it? Anyway I made two substitutions out of desperation. And I used coconut oil because I was out of butter. The cheese and oilfield would not blend until I heated the cheese almost to a simmer constantly whisking. I tempered in the egg. But when I added the flour it never came together it just go crumbly. Can you help? Do you think it was the substitutions? Yes, it was the substitutions. The mozzarella may not have been an issue, but the oil and baking blend most certainly were. Thanks. I’ll try again without subs. On the bright side, I baked it up flat and cut until strips and ur was crunchy and delicious anyway! ? Glad it still worked out! Just made these. They flattened out really bad and they are SUPER greasy. I did everything right with all the right ingredients. Not sure where I went wrong. They look good and will probably taste good but they are very soft. I didn’t want to cook them any longer because they were getting too brown. Just seems like there was way too much butter…..but I used what it called for. hmmm….. I am going to guess brand differences in either almond or coconut flour. What did you use? If you rework this for a THM version, any chance you could include measurement by weight??? My results are much more consistent (and easier) when I use weight. If not, if this is something I’ll use often, I’ll eventually convert it myself :-). Thanks for all you do! This dough was way to sticky for me to work with once I rolled it out, even after dusting it with more almond flour……I had to put it in the freezer for about 10 minutes before it was solid enough for me to even take off the mat in strips. The end result was very tasty though and worth the effort. Baking powder. Sorry about the typo on the video! These look delicious. My family is lactose intolerant so I will use Cabot Monterrey Jack instead of Mozzarella but I also make dinner for a family who is totally gluten and casein free so I am going to try to make some vegan cheese and use that in place of it. Once I do I will let you know how these or your garlic rolls turn out. Holy yum! 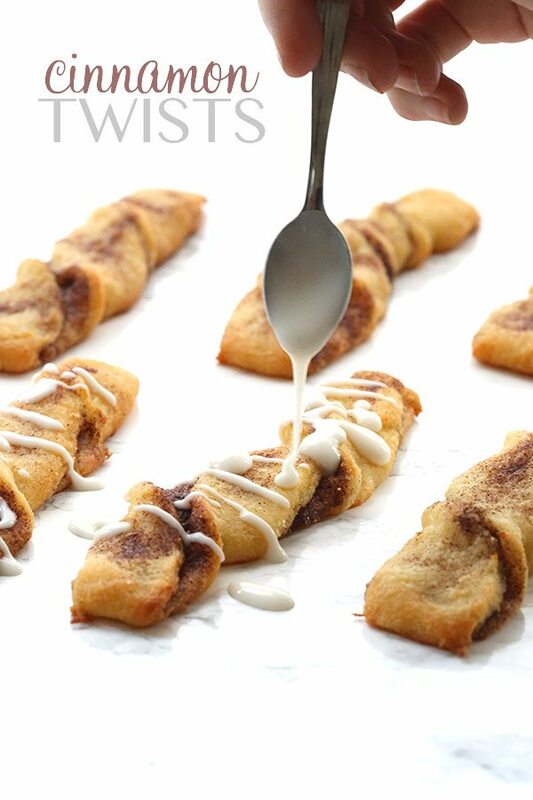 These cinnamon twists look incredible! I love the genius use of mozzarella in the dough! Made these this morning and they were DELICIOUS! Rave reviews by husband and 12yo son. Thank you for another fabulous recipe. My family has absolutely loved every recipe I’ve tried from your blog. I tried making these and followed the directions exactly. However, I couldn’t turn over the dough (or twist it), so I made them into little rolls, which then completely flattened out into big pancakes in the oven. From the other comments it seems like I need to add more flour; but which one? More almond flour or coconut flour? I used honeyville almond flour and earth’s choice coconut flour, and hard mozzarella, which I grated. So part of the problem here would be the mozz that you grated yourself, since pre-shredded comes with a little starch in it to keep it from clumping. So yes, you do need more flour and I would do more almond…maybe a few tbsp? I’ll give that a try and report back! Oh my goodness are these delicious! I kept the ingredients exactly as written, but I varied my technique a bit because I’m lazy. I melted the butter and cheese in the microwave, then added everything to that bowl and mixed it until well combined. It turned out great!! I patted it out on parchment the way I do my fathead pizza dough, and then was able to fold it easily by just folding the paper. I am packing these in my husband’s suitcase for his business trip. Cinnamon rolls are one of his favorite things, and he’s going to flip when he finds these treats in there. Thank you, thank you, thank you! Your recipes are life savers in this house! I’ve never worked with mozzarella dough before; it couldn’t have been simpler. 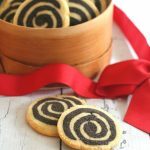 These twists were delicious; a big hit with my pastry-loving husband. Thanks for this recipe! Do you think it would work to use all coconut flour? Almond flour does not settle well with me…. Possibly but I am not really sure how much to suggest. I make ‘fathead’ pizza all the time using the mozzarella dough crust which this is a version of. My bread sticks look nothing like yours as they flattened out and became more like pancakes. I will try adding more almond flour to see if that helps. Thanks for the recipe. I’m not sure where to find swerve? I haven’t seen it yet. Any thing I can substitute it with. Thank you! Made these for breakfast this morning. Oh what a treat and they couldn’t have been easier. 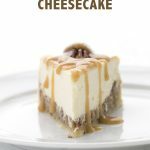 My husband loved them too and he doesn’t have to eat low carb. Definitely a hit in this household! I don’t know who figured out fathead dough, but I’m calling them a genius and I love this variation of it. Thank you! I know, total genius on this dough and there are so many possibilities! What if I don’t have powdered sweetener? Is that like confectionary sugar? Can I make it without? Yes, you can make it without and then just sweeten with the cinnamon filling. Please clarify. The ingredients read 5 tablespoons of butter. Is it the case that 2.5 tablespoons are used in the batter and 2.5 tablespoons are reserved to brush on the dough? Thank you. No. The instructions say 5 tbsp of butter. Then they say “2 tbsp of butter, melted”. Consider these 2 separate ingredients. The first 5 go in with the cheese, the second two are for brushing. Ok. Thanks! I made these this morning and they spread a bit in the oven. Next time a may add a pinch of salt. They were good and I can imagine a number of variations. Hi there, is the flavor of the coconut flour noticeable at all? It’s not been my favorite in other recipes due to that. Thank you! It’s not noticeable at all. It’s just for structure. Okay, looking forward to giving it a try, thank you! ? I just made this recipe except I made them into cinnamon rolls. Then I painted on the melted butter and sprinkled the whole top with cinnamon and sweetener mixture. Then I rolled the dough like you would cinnamon rolls (log). Then I sliced the dough at about 1/2 inch intervals. Place the rolls onto the parchment lined pan. It made 12…very good. Thanks for the blog…you post some great things. Glad the kids liked them too! These were so good. The texture with the mozzarella gives a chew that you normally miss out on in low carb goodies. Amazing. My butter and cheese never came together like some others so I added the dry ingredients then the egg (the butter was simmering and I thought the egg would cook) I didn’t turn the dough out and knead with my hands but just used a spatula in the pan till it looked combined properly. I used baking paper and had to sprinkle more almond meal while pressing out so it wouldn’t be so sticky. (WHich probably made the dough more rough looking) They didn’t twist super easy but it did not matter the end result is soooo good. Not as pretty as yours but soooo good. But there is no way to eat just one of these. Thank you! So I am making these for the first time, they are in the oven right now. This was so easy! The dough came together like a dream. This might truly be a life-changer. There are sooo many possibilities for this… I have a dozen savoury ideas in my head right now. 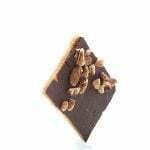 I’ve been trying to figure out how to make a low carb pop tart (my weakness), do you think this could be done with a few tweaks to get the right consistency? I’m thinking sugar-free Strawberry spread in the filling and a sweet glaze. Any suggestions? Hi, what does the mozzarella do and can I replace it with some other cheese? I can’t get shredded mozzarella here, will it work if I slice the mozzarella myself? I really want to try this recipe, it sounds great! No, it will not work without pre-shredded part skim mozzarella. It is the glue in this dough. we only have almond meal/ground almonds where i am, am i able to use that in this recipe? or will i need to make it finer somehow? You will need to make it finer. It won’t hold together with more coarsely ground almonds. I buy whole raw almonds by the kilo and use a coffee grinder. Much cheaper and a little finer than bought almond meal. I’m in Australia, and never seen almond flour for sale. 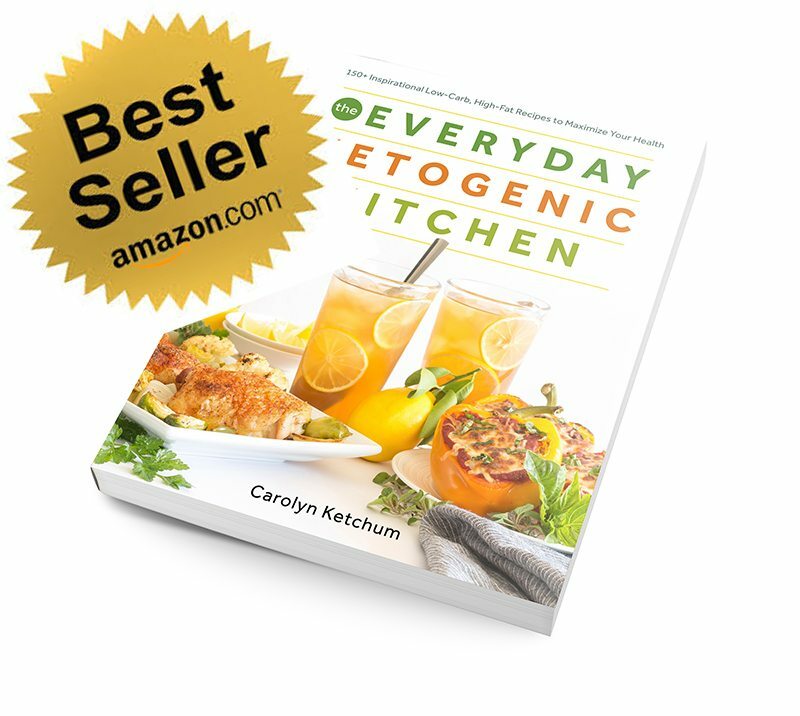 I Am allergic to eggs… Is there an alternative for substitution? No, I am sorry. Not for this kind of recipe, the egg is critical. Thank you Carolyn the entire house smell cinnamon and the twist are Wonderfull ??? I did use the block of mozarela part skim and before hand I place in the freezer for 10 min so I can graited it works a bit better I was not shure about presheded bc of the starch in the ing . Thank you I love it. These are my absloute favorite of all time. Would love to be able to make them myself.. Thanks for sharing this recipe. I need to start by saying I LOVE all of your recipes. 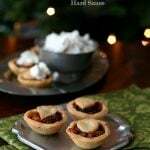 I tried making it this weekend and they came out very crumbly. I used the Honeyville almond flour and the shredded mozzarella. I couldn’t even fold them in half without them falling apart. I was so bummed? Any ideas on what I did or can do differently? Hmmmm. What brand of cheese? What brand of coconut flour? Kroger cheese and bobs red milk coconut flour. Okay, I use Bob’s too for coconut flour. Never used Kroger cheese but I’ve used several different kinds and never had an issue. Here’s my bit of advice. Start off with less of the flours (like a tbsp less each), then if the dough is really sticky when you turn it out to knead it, add in another tbsp or two of almond and a bit more coconut. It should knead and feel exactly like pizza dough…stretchy, not sticky. That’s when you know you have it right. Don’t let it sit long before working it into the twists because as it dries out, it becomes harder to form. Just made this..finally! We loved it. Thanks you! I want to try this, but I know nothing about this swerve sweetener, I just have stevia, xylitol, and I mostly sweeten our food with natural sweeteners like honey, medjool dates or maple syrup. Can you give me rough guess at how much stevia/sugar blend I might use instead of swerve? Swerve measures cup for cup with sugar so just base it on how sweet you’d like it if it were made with sugar. 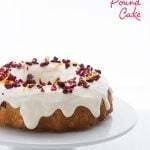 This is a fantastic recipe – thank you! I underestimated how delicious they would turn out, and I’ll admit that I grabbed a second one almost instantly. They really hit the spot and my spouse is beyond pleased that we can have cinnamon rolls again! I had the ‘flattened out into pancakes’ happen. They looked beautiful going into the oven but then came out like blobs. I used Kraft shredded mozzarella and followed the instructions. Any suggestions? You may have needed a little more almond flour. I find that different cheeses have slightly different consistencies. What sweetener did you use? I used straight erythritol with monk fruit from bulk barn. It is the bulk version of Swerve. It’s not the bulk version of Swerve, there is a major difference. Swerve contains oligosaccharides, which are as sweet tasting pre-biotic fiber. Thus, it adds more bulk and fiber to the recipe, helping it hold together. Monk fruit is a non-bulk sweetener, meaning it adds nothing but sweet taste to the dough. It could very easily be the issue here. I tweaked the ingredients a bit and made a savory version. Garlic bread like – Those were a hit as well. Please can you tell me if the “dough” can be frozen raw or cooked? Very exciting and thank you!! I have frozen it raw a number of times. I will tell you that it loses some of its elasticity. It works still, but it is best made fresh. I am seriously excited about this recipe. I’m so glad I found it! I just made these. Delicious! Thanks for writing such clear directions. They were very easy to make. It is so nice to be able to indulge without all the carbs. Just made these!! Delish!!! Thank you! So often I try new recipes that just don’t come close to what I expect, but yours are consistently spot on! These are definitely a keeper!! Thanks again! Don’t know if anyone asked this, but could I switch Out sweeteners in this recipe? I have truvia or stevia…….no swerve. I don’t even know the differences. But would like something close to the cinnamon and sugar Tate. Thanks. You can certainly do that. Truvia is sweeter than Swerve so use less. Also, powder it if you can first. Coffee grinders work well. I’d love to know the weight of 1.5 cups of mozzarella, please. Depending how 1.5 cups is packed, it can vary a lot. Wondering if that could be why some people are having trouble working the dough? I’ve the same issues & don’t want to give up.. I use Honeyville & the same other ingredients. The only variable is the cheese. It’s packaged, low moisture, pre-shredded, has starch added. I’d appreciate it so I can make your fabulous recipes. 6 ounces. I’ve added that info in to subsequent posts. Grams per cup is also listed on the preshredded packages for serving sizes. Love using grams on my food scale! Baking powder. That must be an error in the video. Made these for Christmas breakfast with eggs and sausage. Yummy! Thank you! The best cinnamon rolls eva! Made into 11 cinnamon rolls, baked in my silpat muffin pan. Sooooo good! Used Trader Joe’s shredded lite mozerella cheese and dough was so easy to work with- had no issues. Thank you Carolyn. You have now made me post comments twice! These are just fantastic. The recipe was perfect, I followed it exactly and they turned out identical to yours which is a huge compliment because I am know to say “presentation doesn’t matter”. I make delicious food but it’s normally pretty ugly. These are not just tasty but also very appealing to the eye. Thank you so much for sharing! My daughter is seven and was just diagnosed with Type 1 diabetes six weeks ago. I’m confused about how to dose for net carbs. Our doctor said only use the total carb count, but I don’t see that anywhere. Any ideas?? I’m sorry but I always subtract erythritol carbs, simply because, as a diabetic, Swerve and erythritol does not affect my blood sugar at all. And this may hold true for your daughter as well but you need to TEST that. If you count erythritol carbs in this, you would need to add 10.9g of carbs to the total (so about 15g TOTAL CARBS). But if your daughter’s blood glucose isn’t affected by erythritol, then you will be overdosing. So it’s something you need to play with a bit for now, testing her after she eats so you can see if it affects her. It doesn’t affect most people. Made these again but subbed the cinnamon for 1/3 cup Lilly choc chips–Ahhhmazing. Tastes like a choc croissant from Paris. Carolyn you be the greatest! Kept the balance of the recipe the same and used spouts lite shredded cheese…….dough performed perfectly. Hi , I would love to try this recepy but we only have full fat mozzarella cheese should I use less butter ? What I think you should do is be prepared to work in more almond flour in the kneading stage until the recipe resembles real pizza dough. All went well until I tried to twist them. They cracked and fell apart. What did I do wrong? I really can’t say. Did you use all the same ingredients as I indicated? Firstly, I have to say a HUGE thank you!! 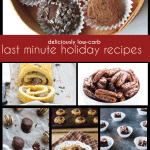 You have made following a low carb diet soo much easier!! I can still have my treats and know I’m not “cheating”. I’m from Australia and struggling to find Almond flour… plenty of almond meal… how will this effect this recipe?? It may not turn out well with almond meal because it’s so much less finely ground. Might be worth investing in a coffee grinder and seeing if you can grind it more finely yourself. It should be the blanched kind, not the one with the skins. Delicious and easy to make. Refrigerated and reheated well. I don’t want to buy two different Swerves. Can I put the granulated in a “bullet” and make it a powder to use? You can certainly try. I don’t think you will get it quite powdery enough but it should be okay. Just wanted to say that despite quite a few differences in ingredients, mine turned out well. I used stevia drops, full fat mozz, home-ground almonds with the skins on, and forgot the baking powder. Makes me think it is the dough consistency that matters most. I added a little extra coconut flour while kneading, until it ‘felt right’. Thanks! Just ade these and they came out amazing…thank you. One question, do they need to be refrigerated or can I keep them on the counter. Thanks again? They should be fine on the counter for 2 days. Refrigerate after that. So I just made these. I don’t think I put enough cinnamon in the center and I may not have rolled them out thin enough, like they were too thick, but they turned out well. The 2nd day they were still yummy but I didn’t know how to fix the lack of cinnamon flavor. Finally figured it out and thought I’d share: Heavy whipping cream with Torani sugar-free cinnamon brown sugar. Whip that up and dip the twist in! Solves any problems anyone could have. LOL. Thank you for this recipe! can u sub the coconut flour for something? Possibly more almond flour. Maybe another 1/2 cup? Not sure it will work, though. Can I substitute cream cheese for the butter? Nope. Won’t work in this recipe. Can I substitute cream cheese for the mozzarella? No, I am afraid that wouldn’t work. I use MacGourmet, which is software I purchased and which pulls from the USDA database, making it far more reliable than MFP. Chances are that MFP is either swapping in a substitute ingredient for the sweetener or you are not subtracting the erythritol grams. 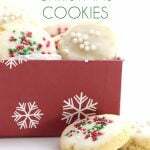 I made these today and they taste GREAT! but the dough was too crumbly and I wasn’t able to twist them. The video link no longer seems to work. Could you reupload? I think if I can see how you did it I may be able to fix my technique. Thank you! Hi, I’ve went crazy with this amazing “dough” I’m really wanting to make a low carb pop tart, would this dough work? We did and they were delish. More like a toaster strudel! What did you put in the middle? This is a great idea! I made these this morning to take to lunch at my inlaws, such a hit!! And my kids loved them too. I love how this really tastes like a pastry dough,tender and flaky. Thanks again for your amazing recipes, this one is going to be a regular at my house. Could i use stevia sachets (granulated) for sweetener? I was so looking forward to this but then I saw as I entered in the carbs in my fitness pal that the total carbs came to 12.2gm for one serving! I used Everything that was in the recipe just different brands. I’m still going to enjoy them! It’s because My Fitness Pal is not subtracting the erythritol carbs, which don’t impact blood sugar. I create a food for the Swerve & subtract out the sugar alcohols from the total Carbohydrates. I scrolled and scrolled and could not find one comment about the confusing instructions on the butter. The recipe says to melt the butter with the cheese….then later it says to spread the dough with half the butter. So does that mean to melt half the butter with the cheese? This could be why so many people had flat dough? Help! Two separate times where are you are using butter, which is why it’s actually listed twice in the ingredients list. One…when you make the dough. Two, you use a tbsp of melted butter on the already made dough. I don’t think it’s confusing as most people haven’t had an issue with that part of it. I’ve been working at it but really don’t have a good solution to the lack of fluffiness…without gluten, it’s hard to do! Why don’t you tell me what happened? Often I can identify the issue. It always helps to know brands of almond and coconut flour, and sweetener. I am a first-timer when it comes to working with dough. Mine smelled delicious, bur were completely flat. I used a brand of coconut flour called let’s do organic from the Edward and Sons Trading Company. The brand of almond flour that I used was Bob’s Red Mill. After I added the flour mixture to the melted cheese and butter, they blended quite nicely into a doughy mixture. I did not kneaded the dough, but merely rolled it out. It wasn’t sticky, just wet/greasy. They do end up rather flat so I am not sure you did anything wrong but the coconut flour could be part of the issue. Which brand of coconut flour has been most successful in your recipes? Lovely flaky dough recipe. 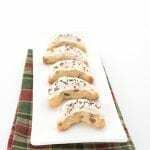 I used the dough to make a keto version of my families Hungarian Christmas cookies (“Kiflik”). The dough is cut into scalloped squares and rolled up with a ground pecan and walnut mixture. Thank you!! These turned out to be wonderful! The dough wasn’t as hard to work with as I had anticipated. (I’m impatient when it comes to dough.) I’m considering experimenting with leaving out the sweeteners to make a basic version for doing savory breakfast braids and other items that call for a bread product. Thank you so much! I can’t get the video to work, would have liked to see it before trying. I butchered your recipe but it still came out tasty! I didn’t have the coconut flour, so I upped the almond flour to a cup. The flavor was still there but my twists flattened out like pancakes while baking! Lol…. I’m assuming that’s due to the absence of the coconut flour. Anyway, just wanted to thank you for sharing your recipes! I’d never survive this LC journey without them! Well, you needed to add about 3/4 cup more almond flour…the rule of thumb is 3x the amount of coconut flour. Do you think frigerating the dough after making the twist & before baking may help with the dough not flattening out? A breakfast treat my 13 year old son requests regularly! These smell so good when cooking. Fast and easy to make. 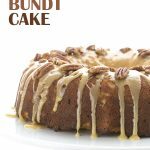 This is one of the first low carb recipes I tried, so you do not need a lot of skill to make this. Do not worry if they do not look as pretty before you bake them. They look nice after you cook them! Followed everything except I used only almond flour as I can always taste the coconut. I don’t like the coconut. Looked perfect but flattened out and ? Melted in the oven. It flattened because you didn’t use the coconut flour. Sorry but it helps! Why wouldn’t you add some baking powder to your dough? It would help the twist rise a little and not look like they have been run over by a truck ? Can this dough be frozen with success Carolyn? 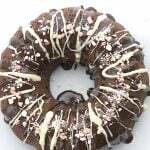 I’m in love with so many of your recipes and am now looking to buy your book as my little granddaughter is a Type 1 Diabetic. Thank you for everything you do to help others. I have frozen and thawed it but it does lose a little of its elasticity. I followed the recipe to the letter but what a mess! The dough is so crumbly i coudln’t pick it up or twist it. It’s in the oven now, but I can’t imagine it will come together. What did I do wrong? Should I have chilled the dough for a bit before rolling? No chilling necessary. When this happens, it usually comes down to your ingredients. What brand of almond flour did you use? What kind of cheese? I used Kirkland California superfine almond flour, Tropical Green organic coconut flour, and Kraft natural part skim shredded mozzarella. The almond flour and mozzarella sound okay but I’ve never heard of that coconut flour. Coconut flour can vary a lot brand to brand in terms of absorbency so it may have been the issue, and perhaps less coconut flour next time would allow these to hold together and not be too crumbly. I am lectin free so can I use buffalo mozzarella cheese? very doubtful that will work. I’m using these to prep for breakfast for the week. Anyone else do this? How did they hold up/ taste after being in the fridge 1-5 days? Best just gently warmed in the oven or microwave.